Check out some of our most popular teachers near Loganville, GA including Atlanta, Marietta, Decatur, Alpharetta and Duluth. Hi I'm a 33 year old professional musician that has worked hard to become a first call drummer for performance, instruction, and studio session work in the Atlanta area. Over the past 5 years I have toured internationally, recorded with countless regional, national and local artists, and have gained a positive reputation in the Atlanta community as a unique, innovative, and passionate drum teacher. I studied music at The University of Mississippi and I am qualified to teach numerous styles including Rock, Pop, Hip Hop, Jazz, Electronica, World and many others. I have years of experience teaching private and group lessons (I'm a recurring Camp Counselor in Summer music programs). I offer inspired beginning drummers of all ages the chance to learn the art of drum set playing within a basic, relaxed, and fun context. My drum studio includes 2 drum kits to help aid in visual learning, percussion instruments from around the world, a PA system to play along to music and great vibes! For student's home lessons I require only the student's willingness to learn (having a drum or set helps too). Based within a fun, relaxed context, Casey has developed a natural teaching method that focuses on learning and understanding the building blocks of drum set playing, familiarizing and connecting these building blocks, and applying them to individual expression. He has the ability to take nearly anyone without prior drum set or rhythmic experience, and, within days, turn them into beat playing drummers. His approach focuses on: HAVING FUN, building an understanding and relationship with each drum, the basic rudimentary foundation of drumming, how to approach the drums, hold the sticks, set up the drums, and tune the drums, basic mechanical techniques, development of each limb, learning how to read basic drum charts and play to them, learning and playing the most significant beats and patterns in the history of drum set, and gaining the ability to effectively teach oneself how to improve as a drummer. I was a bit nervous for my first lesson and Casey made it so easy!! I’m so excited for my next one! Very informative. My son enjoyed the lesson very much. We have been amazed at what Casey has been able to teach our daughter in a short period. He's great with our daughter despite her reluctant attitude sometimes and he always makes it fun for her. Very talented drummer and instructor, highly recommend!! From basic rhythms and catchy songs to complex time signatures and funky beats. I'll teach you how to play the drums effectively and successfully at your own pace. I have 15 years experience playing guitar and drums and love nothing more than to share my knowledge of music with students who are eager to learn. My passion for music developed at an early age and has only grown from there. I have had the privilege of learning from excellent and extremely talented teachers. I enjoy playing at local venues and watching my students joyfully succeed. Whether you have never picked up an instrument or if you just want to fine tune your musical ability, I will gladly meet you wherever you are in your musical journey. As patience is always an important aspect in learning a new instrument, it is also one of my strengths as I teach students the basics or the advanced techniques with guitar or drums. Learn at your own pace and learn to play any song you want! Takamine ES45C Jasmine Cutaway Acoustic Electric Guitar, Deadwood Arch-top Electric Guitar, Fender Mustang I V.2 20-watt 1 x 8" DSP Combo Amplifier, Sonor Force 3005 Full Maple Kit. Guitars, drums. I am willing to share my equipment if the student does not have their own. I like to use the Orff method for children, the Suzuki method to encourage and praise the student for their accomplishments, and the MMCP method to give the student the freedom to improvise, create, and investigate his/her own musical talents. Alex is extremely patient with my son who is 9 years old. He makes it fun for him and uses music that my son loves. He took his time to ask what type of music he would like and is teaching him based on that. After only three lessons my son is really starting to pick up on basic cords. I would highly recommend Alex to anyone that is interested in learning guitar. My son really enjoys his time with him. I've been teaching Drums since 2004 and recently started back January 2013. Within the first few lessons, you'll be able to play all rudiments and as time goes on you'll be able to play in bands and in JH and HS bands. I typically use the Haskell Harr, and now include Alfred's Drum Method book for Snare; Tommy Igo for drum-set. His posters from Vic Firth are great resources. I love working with students of all ages and experience levels; I can't wait to meet you! All students will be equipped with the educational tools and knowledge to take their music career to any direction they choose, no matter how great or small. Short term and long term goals will be set and realized. The sky is the limit!! Let's begin the journey today! I started playing drums at the age of 8. My playing experience began in church. I participated in the marching, concert, and jazz bands in middle and high school. By the time I had reached the age of 17, I began playing drums professionally when I was offered the opportunity to play for Dove Award-winning, Grammy nominated Southern Gospel group The Martins. After high school, I went on to study music at the University of Central Arkansas in Conway, Arkansas on a music scholarship. e group in Japan, New Zealand, Dubai, and Qatar. I'm happily surprised at how much my daughter has learned in so little time. She also seems to really like her instructor, Allen. My son has always wanted to learn to play the drum. I contacted Take Lessons and was connected to Mr. Allen. As was expected, my son was a little nervous for his first lesson. After meeting with his teacher, Mr. Allen, he became very comfortable and was eager to attend class each week and was ready to learn. He loves learning to play the drum and he loves his teacher. Thanks Mr. Allen for being the patient and kind instructor that you are. Mr. Allen was very patient with my son. This was my sons first time taking music lessons of any kind and he was really comfortable with Mr. Allen. My son was very excited to return for his lessons week after week. He actually learned how to read several notes and play a little beat. We're very pleased. Drums were my first real hobby, and a great confidence-builder when I was growing up. I've spent many hours playing drums, and it's become a very rewarding part of my life. I specialize in teaching the techniques of playing the drum set, and I'd love to show you how to do it. So, sign up! I promise it'll be fun. You won't regret it. Mark is a patient, friendly, experience and pleasant teacher. I enjoyed working with him very much. I learned a lot of new things during his classes. I need to practice all. I am very happy to recommend him to anyone else who is looking for a great teacher . 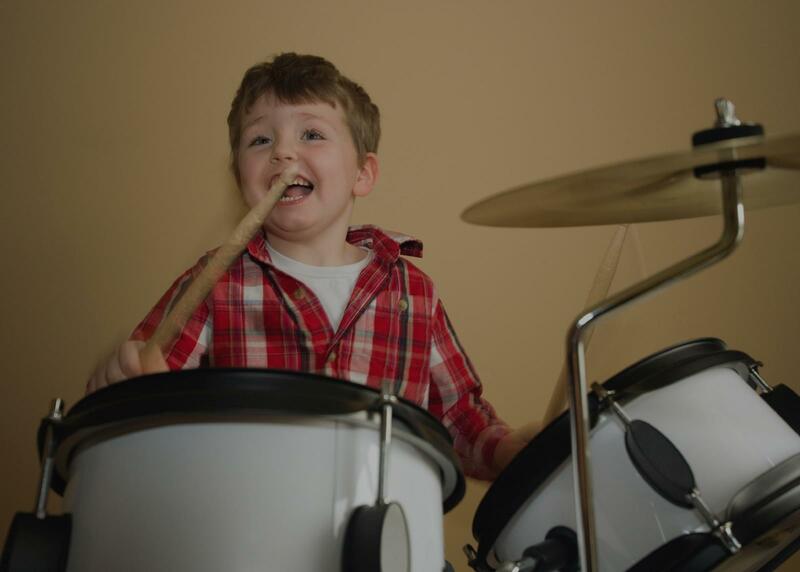 Professional drum lessons taught in a relaxed home studio environment. Specializing in rock/metal drumming. Beau B. is best known for his work as full-time drummer for the metal group WITHERED. Throughout the years, he has carved out a place for himself among extreme metal drumming’s heaviest hitters. Recognized for his aggressive playing style and unique approach to crafting memorable drum parts, he continues to push boundaries and challenge himself behind the drum kit. As of late 2017, Beau has taken his career to the next level and is now available for studio/session work, as well as drum lessons in the metro Atlanta area. ​2000-2003: Inactive from bands. Worked on perfecting his double bass work and hand speed. Toured Europe and South Africa with ska/reggae group Regatta 69 as a session drummer from Oct 2002-June 2003. ​2004: Moved to Atlanta and started playing shows with extreme metal act waited. ​2007: Joined WITHERED as full-time drummer. ​2008 – present: Beau has recorded drums for the WITHERED albums ‘Folie Circulaire’ (2008), ‘Dualitas’ (2010), ‘Grief Relic (2016). ​Beau has played countless shows around the US and Canada, and has shared the stage with bands such as Mayhem, Watain, Morbid Angel and Danzig, among many others. As an active professional performer, I can bring real life experience to the lesson room! With 25 years teaching experience, I cater lessons to the students wants and needs, and you will be learning drum patterns and songs in no time! A Chicago area native, I received a BM in Jazz Studies from DePaul University in 1990.I have been teaching and playing professionally full time since 1994. I have performed, toured or recorded with Liz Phair, Poi Dog Pondering, and Liquid Soul.Currently I play with Tributosaurus and Under The Streetlamp. I tailor lessons to students’ individual wants and needs, balancing a regular syllabus with custom lesson plans and real world performance experience. Let’s play Drums! Dan taught me to play dozens of genres over a decade of study, ranging from jazz and Latin standards to 9-min long progressive metal epics, and that one World Tour orchestral score with the tempo modulation. I've played at drop-in jazz jams and rock gigs thanks to Dan's training. Highly recommend. We had a wonderful experience with Dan as my son's drum instructor. My son started at a fairly young age (6) and was interested in playing more what he heard on the radio, anywhere from Taylor Swift to Metallica. Dan was extremely patient in developing his lessons with my son by incorporating these types of songs in his lesson and keeping my son's interest up throughout the 30 minute lesson/"jam session." I'd highly recommend Dan to anyone interested in learning drum skills like those of Neil Peart, Buddy Rich, and other rock and roll legends. Would you like to learn how to play the drums? Maybe you already play but have a song that you are struggling with or you would just like to learn how to read music. Well look no further. Born and raised to play music I spent my middle and highschool years learning how to play the drums in all styles. I'm classically trained on just about any percussion instrument you can name (timpanis, cabasa, glockenspiel, snare, bass drum, toms, bells, marimba, xylaphone,ect. ), jazz trained on the drum set and I was the drumline captain at Royal Highschool in Simi Valley California if you want to learn marching techniques as well. If you are willing to put in the practice then I can guide you into becoming the drummer you have always wanted to be. Hi Im Steve. I started my venture with music when I was 6 when I learned to play the trumpet. I moved onto the drums when I was 10. Played in concert band, marching band and Jazz band through Highschool. I was captain of the drumline at Royal highschool located in Simi Valley California back in 2000 and at Narbonne highschool located in Harbor City California in 2001. I have practiced for thousands of hours and know how to sight read music and can also play by ear. I am patient and understanding that sometimes rythm takes practice. When I got out of highschool I didn't persue a career in music like I should have. I curently play drums for fairview baptist church in Portsmouth Virginia. Drumming is my lost passion and I would like to teach other people the gift of music. Can't find a teacher in Loganville, GA? ed lightyears since taking lessons fro him. He always has a positive attitude and is extremely reliable and punctual, which can be very rare in the music industry. I am so happy I met Casey!" Atlanta, GA teacher: Casey C.
"I'm happily surprised at how much my daughter has learned in so little time. She also seems to really like her instructor, Allen." Atlanta, GA teacher: Allen G.
was very excited to return for his lessons week after week. He actually learned how to read several notes and play a little beat. We're very pleased." osen him as our instructor." "He is great with my son. He's very friendly and able to teach my son who is autistic. Very pleasant!" m. Casey goes above and beyond as an instructor and his passion for music AND teaching is always evident. Casey connected with our son by taking the time and effort to get to know him to understand how he learns and what he likes. He adapts his approach to ensure our son is having fun while learning. Best of all, the results are tangible ... our son enjoys his lessons, looks forward to practicing, and has learned how to play and read music. I would not hesitate in the least in hiring Casey as an instructor." ere. Very professional and cares about the success of his students. I highly recommend him regardless of your age or ability. One lesson and you'll be hooked on the drums!" e. Very understanding teacher. I enjoy every lesson with Casey."